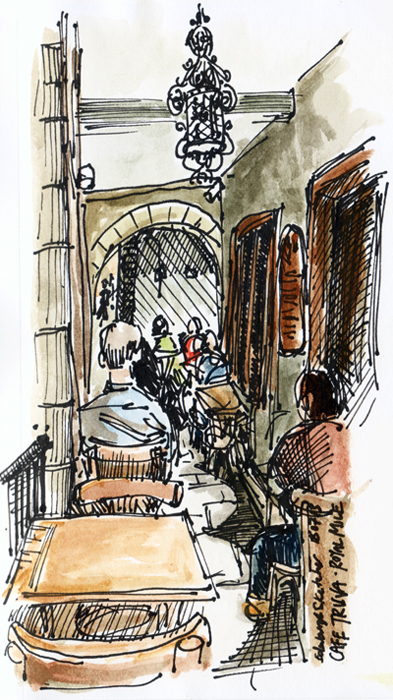 This sketch is from my lunch stop at Cafe Truva today. The lovely Mediterranean inspired cafe on the Royal Mile is half sheltered from the sunshine under huge pillars. Although not wanting to waste this glorious weather we are having in Edinburgh just now, I sat on the sunny side of the terrace!